Each year, Refe Tuma and his wife celebrate Dinovember, a month-long time of whimsy and fun when they try to convince their kids that their dinosaur toys come to life at night. Because in the age of iPads and Netflix, we don’t want our kids to lose their sense of wonder and imagination. In a time when the answers to all the world’s questions are a web-search away, we want our kids to experience a little mystery. 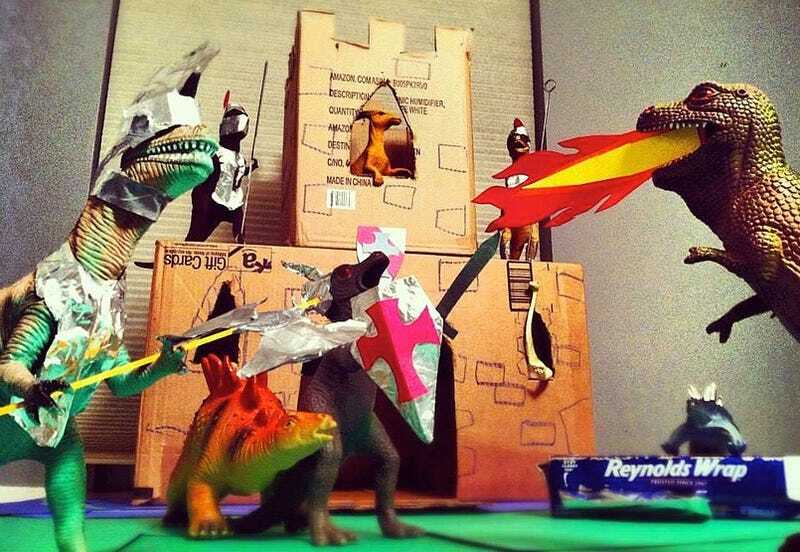 All it takes is some time and energy, creativity, and a few plastic dinosaurs. Childhood is fleeting, so let’s make sure it’s fun while it lasts. Of course, he and his wife also get to spend a lot of time playing with dinosaur toys, which is really its own reward.